1 September. Responding to King Sisavangvong’s declaration of fealty to France, Prince Phetsarath reiterates his rejection of a continued French protectorate and invites the UN to acknowledge Laos’ status as a newly independent state. 3 September. A small Franco–Lao force peacefully enters the Laotian capital, releasing French internees and seeking to force the submission of the viceroy, but Prince Phetsarath refuses to recognize the authority of the newly released French résident supérieur . The standoff between Vientiane and Luang Prabang continues. 5 September. Prime Minister Son Ngoc Thanh announces the results of a national referendum that undoubtedly never took place. It is claimed that 540,999 Cambodians supported independence from France and only two voters were opposed. 7 September. Faced with hyperinflation in Malaya as a result of massive printing by the Japanese of their wartime currency, the British Military Administration (BMA) demonetizes the currency; only pre-war and a new post-war currency are legal tender. The widespread economic pain this causes is alleviated by government handouts. However, due to the financial and economic upheaval caused by the demonetization policy, the BMA would come to be derogatorily known as the ‘Black Market Administration’ owing to the widespread corruption of its staff. 9 September. Free French forces attempt to take Savannakhet, but they are pushed back by the Lao Issara Army with Viet Minh support. Days later, Ho Chi Minh contacts Phetsarath directly to offer fuller Vietnamese support. 2 September. In the wake of the Lao king’s declaration of fealty to France, Prince Phetsarat proposes that King Sisavangvong endorse the unification of the Lao territories. In the eyes of the Lao monarch this move lacks legitimacy because the southern noble house of Na Champasak seeks autonomy rather than integration and Prince Phetsarat’s proposal is above and beyond his station. 5 September. Prince Phetsarath is contacted by his half-brother, Prince Souphanouvong, who for the last 16 years has been working as a civil engineer in Vietnam. Souphanouvong explains he is in Hanoi negotiating Vietnamese support for the Lao independence struggle. The viceroy rejects the overture; he has long held anti-Vietnamese views and is already concerned about Viet Kieu involvement in the nationalist movement. Indeed, only days earlier Viet Minh-allied forces in Thakhek organized local youth into armed units to oppose the French. 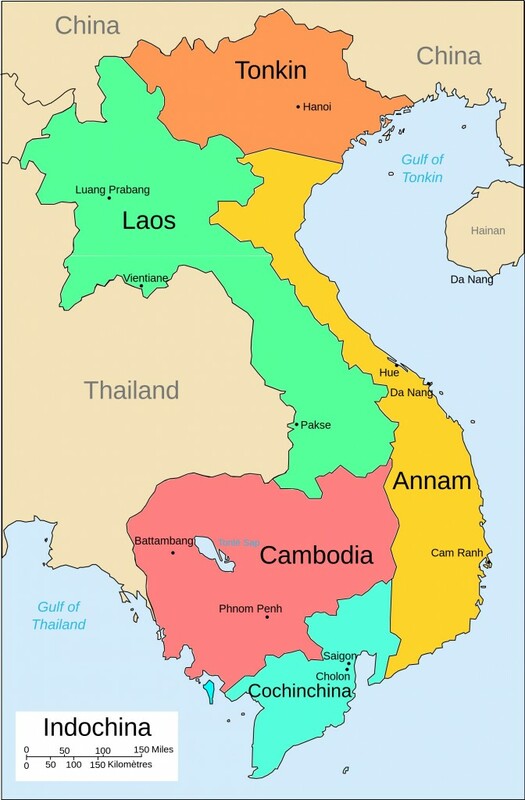 These Lao–Viet units will become the model for future joint Lao Issara and Viet Minh collaboration. 9 September. Finally, after a long delay, the main body of Chinese troops enters northern Indochina to disarm the Japanese and maintain order. It also proceeds to plunder the local populace or pay for supplies with Chinese currency at a highly inflated exchange rate. The commander of Chinese forces, General Lu Han, arrives in Hanoi by air on the 14th and establishes himself in the former governor-general’s palace. Ho Chi Minh is swiftly summoned here. However, unlike the British, the Chinese are amenable to an accommodation with the Viet Minh.